There are many major schools in Ipoh. The famous ones being the Anglo-Chinese School, Ipoh, The Saint Michael’s Institution, Ipoh, Anderson School, Ipoh, Methodist Girls’ School, Ipoh, the Convent of the Holy Infant Jesus and Raja Perumpuan, Ipoh. In addition, there were numerous National Type Secondary Schools such as Sam Tet, Ipoh, Yuk Choy, Ipoh and Poi Lam, Ipoh. The oldest school that taught using English as a medium of instruction is the Anglo-Chinese School, Ipoh and its sister school, Anglo-Chinese Girls’ School (later both changed names to become Methodist Boys’ and Methodist Girls’ Schools respectively). In 1895, the ACS Ipoh was established. In those early years, schools ran classes from primary to secondary levels under one administration and in one compound. It was only later that schools divided themselves into primary and secondary schools. Most Mission Schools and even government schools kept to the same compound whereas Malay primary schools were usually separate as in the early years of education in Malaya, there were hardly any Malay Medium Secondary school in Ipoh! Chinese educationists started many Chinese primary schools in Chinese enclaves and the town of Ipoh but through major dialectic associations, established the three secondary schools which initially used Mandarin as the medium of instruction but changed to using Malay after conforming to the wishes of the government after Independence. To be a teacher, one has to be accepted by the school’s administration as in those early years, the schools had the right of hiring and firing (with the exception of government schools). Even after Independence, Mission schools could still hire teachers under the Unified Teaching Service which differ from the Government Teaching Service. I do not intend in these series of articles to go into the historical development of the teaching services but rather concentrate on a personal perspective of being a teacher from the day I joined it till the day I retired. After graduating from the University of Malaya with a B.A.Hons. degree in Geography, I asked Miss Ruth Ho for a job in Methodist Girls School, Ipoh. I knew her through church connection and she accepted me because there was a vacancy for a Geography Teacher. I joined the school in early January as my Final Year Examinations just completed after the New Year. MGS Ipoh was a well noted school with over 1000 students from Form 1 to Form 5. I knew many of the teachers there, too. When I reported for duty, I was given three Form 5 classes to teach and another 2 classes of Form 4s. Please note I had no professional teaching qualifications and I was a rather young graduate, barely twenty-two years old. Some of my Form Five students were just five years my junior in age! I taught them Geography and English. The Principal, Miss Ruth Ho was a frail looking lady but with a very friendly and attractive smile. With this smile, she could get most of us to do anything she wished. She is soft spoken, and in all the years I served with her, I have never heard her raise her voice. She was very patient in giving out instructions and you can never go wrong if you follow her instructions. The Principal of the school stayed in the compound of the school in a double storey bungalow named Kenyon Cottage. It was a lovely, stately building with ivy covering the front porch pillars and arch. From time to time, some of us would be invited over for morning coffee/tea or afternoon tea if we stayed back for some extra-mural activities. The living room where we sat for tea overlooked the school field and we could get a panoramic view of the Main Building of the school (see photo). It had polished wooden floor. This building was designed and furnished like a typical American home as many American ladies were head of the school. Miss Kenyon, the first principal after which this house took its name, right up to Miss Moriera (local) before Miss Ruth Ho, every Principal carved out a portion of the rich history of MGS Ipoh. 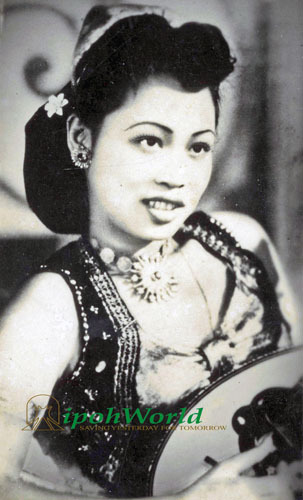 Miss Ruth Ho is the daughter of the illustrious Dr. Ho Seng Onn, a famous Chinese educationist in the Methodist Education Mission of Malaya and Singapore and sister of Mr. Robert Ho, a renowned author of Geography books for Malaysian schools. It is no accident that such a person from such an important family should be there to guide MGS Ipoh. Most of the time, her staff would meet her in the office located above the porch of the Main Building. It would occupy half the area above the porch, while the general office would take up the other half. The Principal’s office, like her is simple. She would seat herself behind an outsized desk that has a glass top. It would be covered with files, papers, etc. Her chair is not like those well-padded, shriveled executive chairs but a small wooden one with an armrest that curved behind her in a semi-circle to form the backrest and the other part of the armrest. It has a thinly padded cushion. I am sure it was not very comfortable. Miss Ho is simple in her manner of dressing too. One would often, if not always find her in a dress that has not waistline. It would spot a high collar and would reach to just below her knees, fitting her frail form loosely. Usually, it would be of pestle colours with some floral motifs. Call it a ‘Cheongsam’ of some sort if you like, but the slits would not be there. One cannot expect to find any serious or distinct signs of make up on her face too. Maybe there is a hint of powder to keep her face fresh and a gentle and faint perfume as she walks pass can be detected. Her round steel-rimmed spectacles, which she removes from time to time to look up at you when you stand before her, suggests a middle age lady with long-sighted reading problems but a pair of eyes that is still 20-20 when looking at her staff and pupils. It was my misfortune that I did not work for long with her but yet it was long enough for me to use her as a model in later years of my teaching career when I too became a principal. She entrusted me not only with teaching her best Arts Students in Geography but also gave me the most challenging class to teach English in the Form Five year. In addition, she made me take charge of Softball, when in that year MGS Ipoh was to chair this game in the Central Perak Sports Council (precedence of the Majlis Sukan Sekolah Perak, Zone Kinta). During those days, it was not the Principal that was the Chairperson, it was the teacher-in-charge that chaired the game and sat with the Chairpersonof Central Perak Sports Council, then another imposing character, Mrs. Nadarajah of Raja Perumpuan School, Ipoh. In addition to these responsibilities, that year I joined MGS Ipoh, they were planning a Fun Fair to raise funds. Mission schools were always doing this or that to raise funds to finance new building projects or to run the school, like providing furniture and maintaining the buildings and utilities. I was given the task of being the Chairperson in-charge of games for the Fun Fair! What do I know of organizing games in a carnival? Nothing except having participated in handling a game stall or two when I was in school and attending a few Fun Fairs in Ipoh. However, with her guidance, we made a success of the whole activity. These are the memories I have of Miss Ruth Ho. 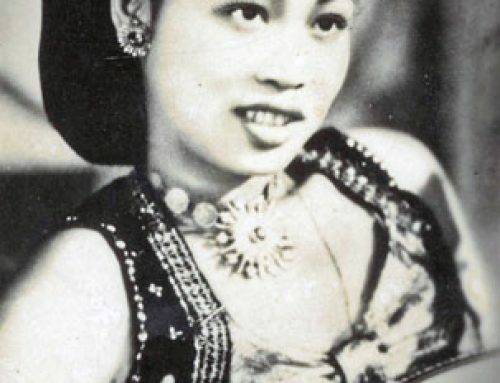 She left MGS Ipoh for reasons only know to her and her close associates and served in Singapore for some time then eventually she landed up in Hawaii, got married to a Japanese American and settled there. She is now alone, living in a senior citizen home under the name of Mrs. Ruth Lindley. She would only be too pleased if any of her old girls or ex-teachers/staff would contact her. If you are interested in contacting Miss Ruth Ho, please ask Ian to pass your email address to me and I would forward it to her. Hear, hear. Very well articulated AP. That statement of yours apply equally to your mum, one of the teachers that I remember fondly from my SMI days over 40 years ago. Thanks UV for writing on my beloved alma mater. Many of the teachers there were our examples of fine ladies that we should grow up to be! What I learnt in MGS has served me well in life. The learning was hard but there was also friendships and fun galore! The years in MGS is the part of my life that I will cherish with joy and gratitude! My mother’s shop did all these uniforms for Raja Perempuan School for many many years. And she also did all the uniforms for many other secondary schools in Ipoh. Foon Yong Tailor! I wish to make a correction about Miss Ruth Ho here. She married a Caucasian from Indiana and not a Japanese American as stated above. Tedin Ng, thanks for the correction on the spelling of Dr. Ho Seng Ong’s name too. Our Malacca ACS Coffee Table Book entitled “MACS Centenary 1910-2010: Dear ACS, We’re proud of thee” is already published and was launched last May 10, 2010 in Malacca by the TYT Governor of Malaccca. I would like to send a complimentary copy of this book to Ms Ruth Ho – it features many pages on Dr Ho Seng Ong and also includes family photos with Ms Ruth Ho. If you can email her address to me, I can parcel-post the book to her. Thank you. Sorry typo on the book launch date – should be May 10, 2012. Some of the teachers in the above photo have taught me before. Ms Ruth Ho was the principal throughout my secondary school days in MGS. I was in Form 1 when the above photo was taken. I still remember that some of our domestic science lessons were done in Kenyon Cottage. I learnt how to make beds there! It really brings back beautiful of my MGS days. Hi,I am interesting to research for History of Malaysia(Malaya,Singapore) Christianity,especially in church school . I realize that Dr.Ho Seng Ong was play a main role,and also his sons and daughter, would like to know more about Dr.Ho family,do you have more details or information? Hello, I am related to Dr. Ho Seng Ong and Ruth Ho is my cousin. I only have a brief knowledge of the family as I was very young when my family lost touch with Miss Ruth Ho and her family. My father, Ho Seng Whatt is the youngest brother of Dr. Ho Seng Ong. He passed away some while back. I would be grateful if you could provide me with further information about her whereabouts as I would like to trace my family tree. Thanking you.